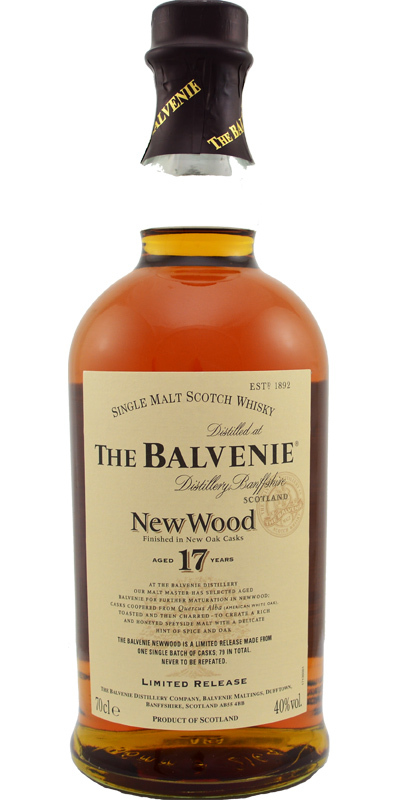 AGED 17 YEARSIn 2005 The Balvenie Malt Master, David Stewart, crafted a new expression, The Balvenie NewWood Single Malt Scotch Whisky, by using casks coopered from American white oak which were toasted then charred and unusually, had never previously held any liquid. 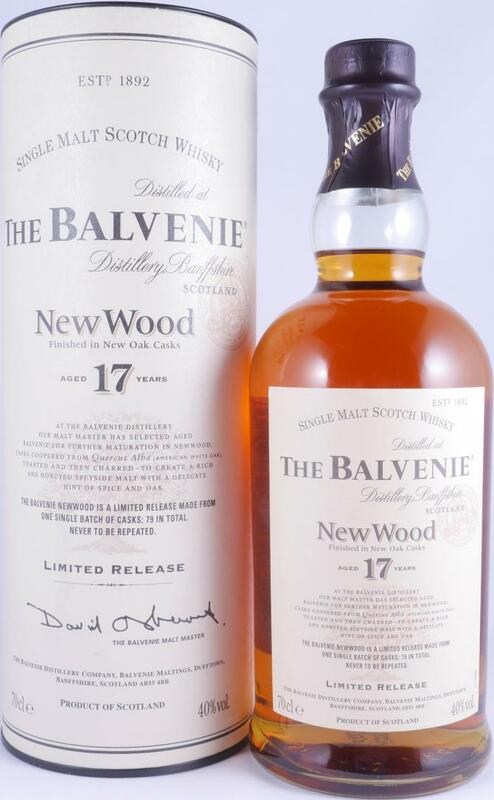 David selected and married 79 traditional whisky oak casks of at least 17 years of age and transferred this to the new oak casks for four months.TASTING NOTESNOSEGentle oakiness with a hint of spice and restrained honey notes.TASTERichly layered with soft oaky vanilla tones, backed by distant spiciness and characteristic Balvenie honey sweetness.FINISHSoft, warm and lingering. Fruity and spicy aroma, orange, vanilla, floral honey, mint, cloves, pepper and nail polish. Vanilla sweet taste, mint, white pepper, grapefruit marmalade, burnt oak and malt. Medium long, spicy and malty end. 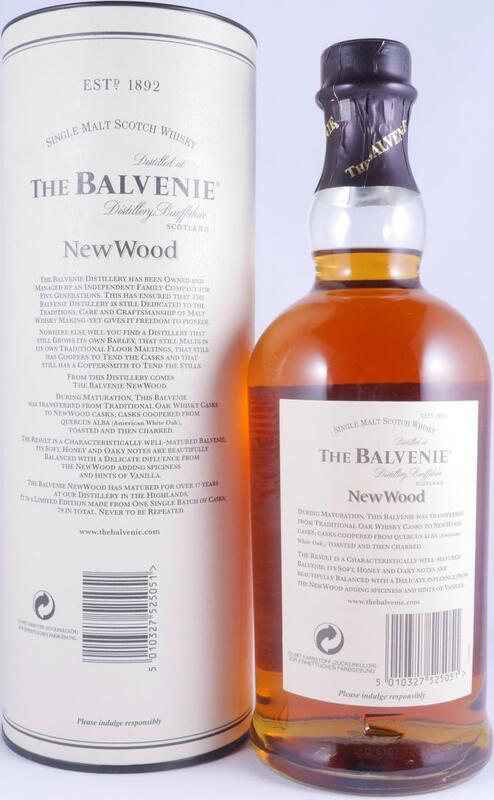 rich notes of vanilla and hints of wood make clear, soft and nice long finish. Love this Limited edition. Try to find more its worth it! This is a very honey/ vanilla based scotch. It reminds me of the Alba Reserve Glenrothes. If you like your scotch to be on the sweeter side than you will love this version. This is a limited release and most of there 17 yr old are great. I look forward to opening this after I get another bottle while they are still in stock to try and share with friends.